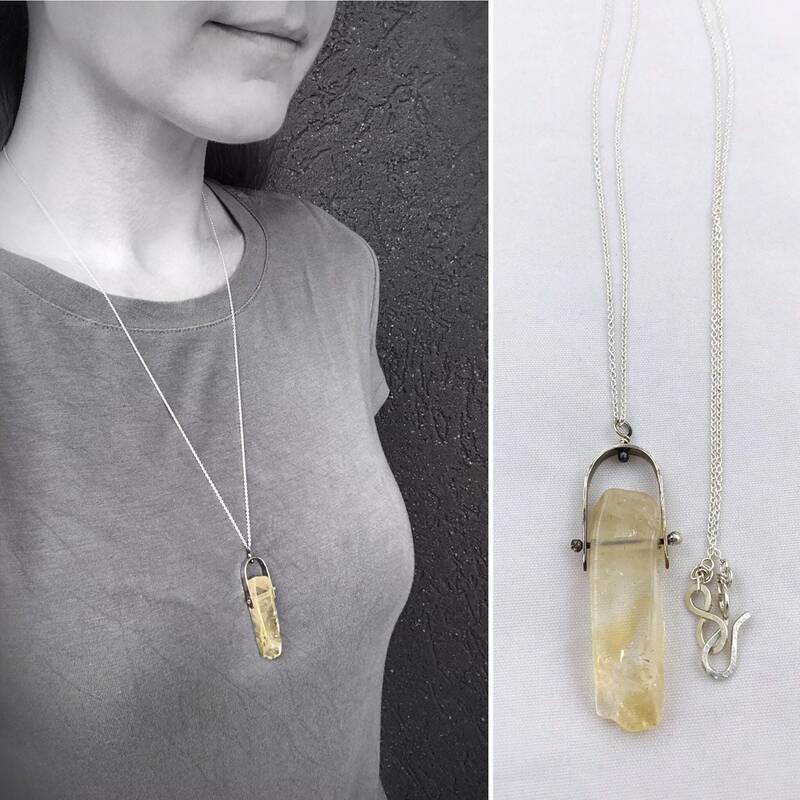 I constantly play with my jewelry, so I made it my personal mission to create some pieces that are designed specifically to fidget with, as well as look amazing. 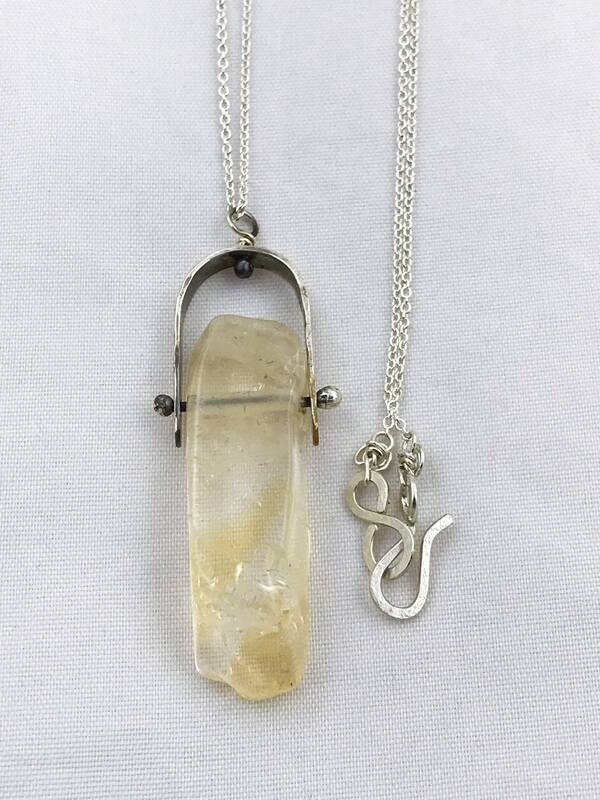 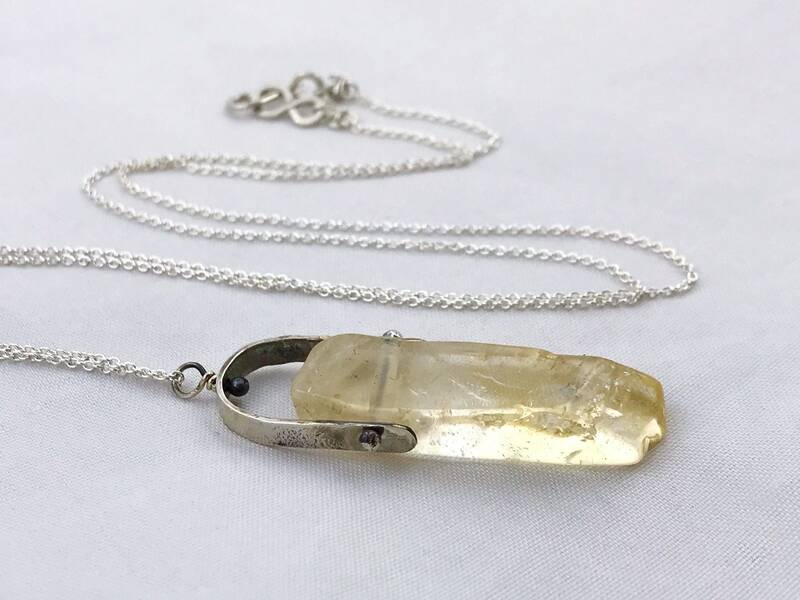 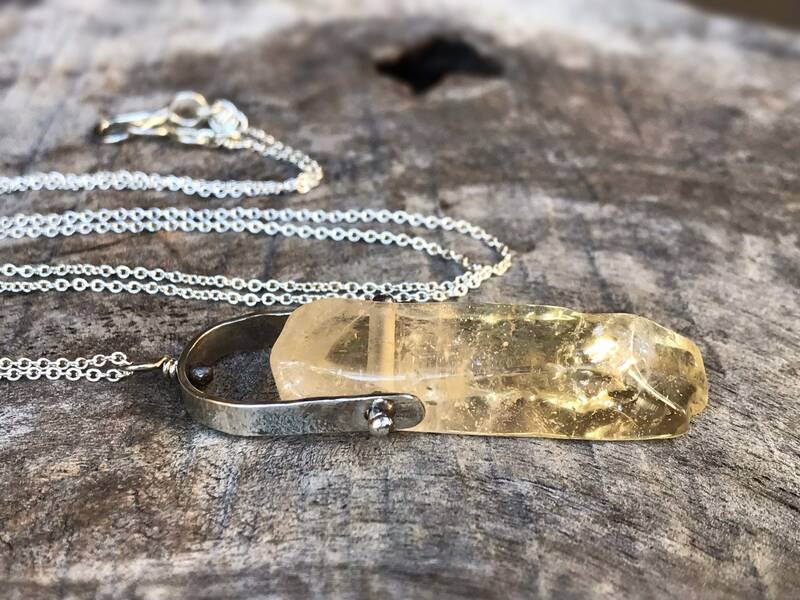 This awesome necklace features a luminous golden orange polished citrine slab which swings from a torch fired rivet within it's solid sterling silver harness. 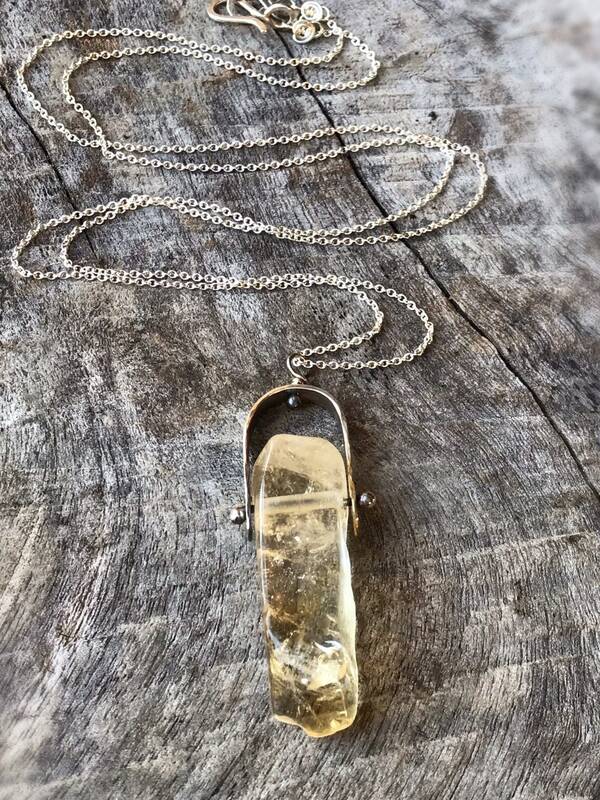 It rotates 360 degrees on the top rivet loop that attaches it to it's chain. 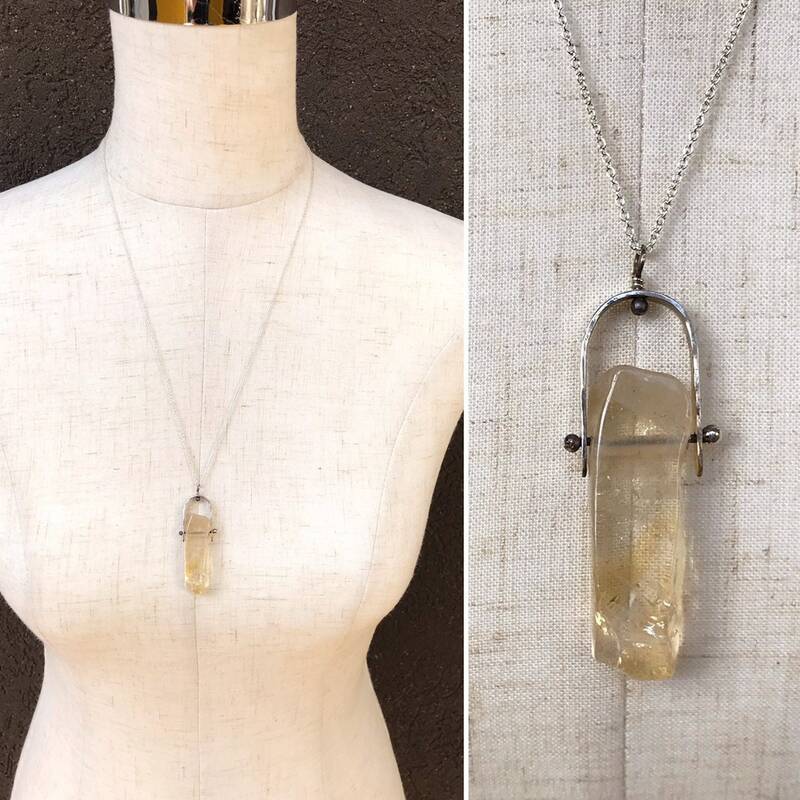 *Please note* These are natural polished citrine slabs, so please allow for variance in the size of the stone, as well as the unique shapes, inclusions and color tones of each one. 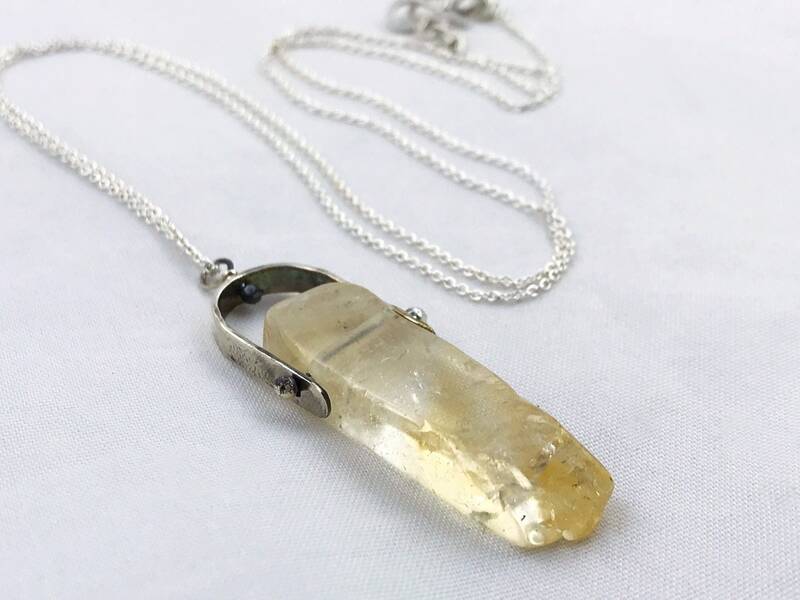 -Genuine polished golden citrine stone, available stones varying in size from 25-45mm (1" to 1 3/4") length, and 10-12mm (about 3/8") width. 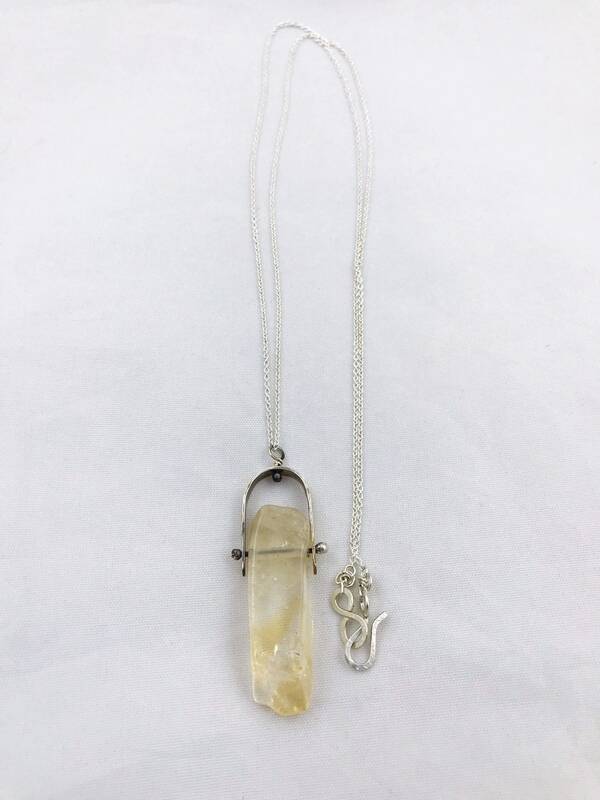 -Colors vary with each stone, from pale yellow to honey orange. 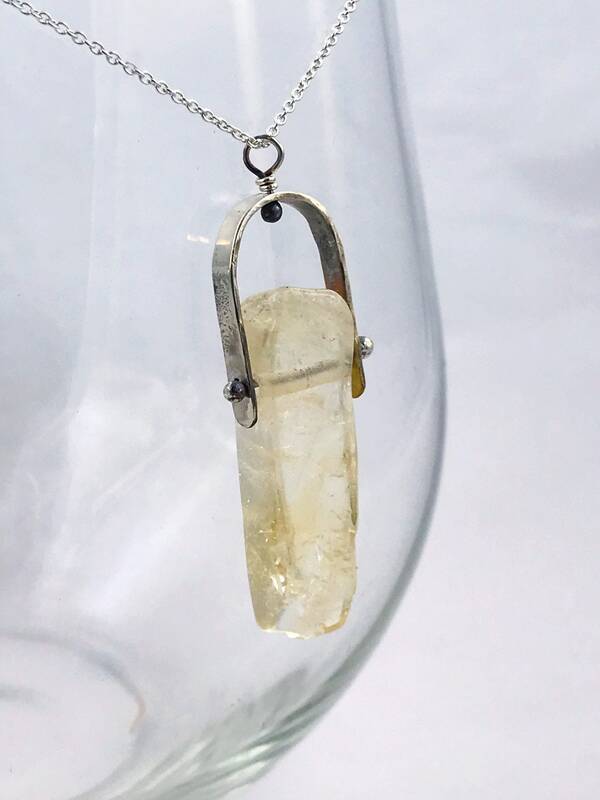 -Total pendant length with sterling harness will vary depending on the size of the crystal, but will average 1 1/2" to 2" length including top loop. 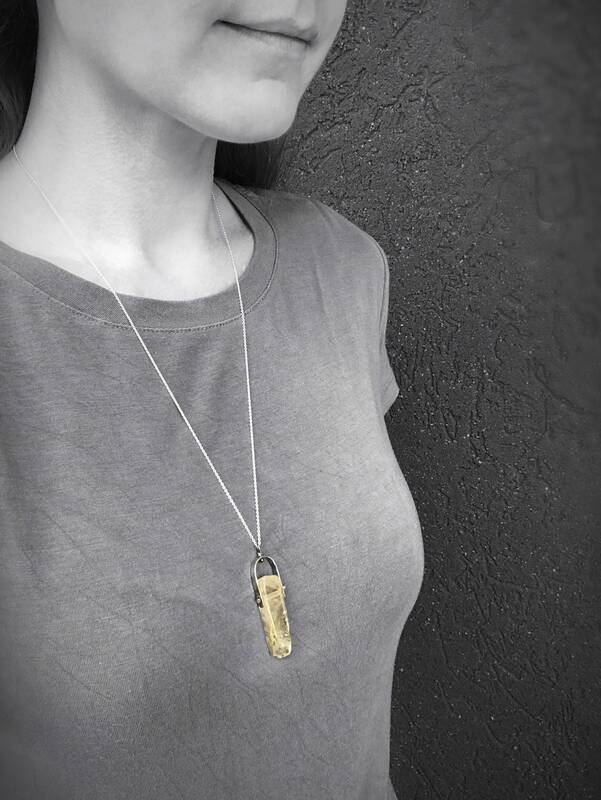 -Two movement features: Stone sways from it's sterling rivet bar, and spins at top rivet loop.